How is Highway Driving Different from City Driving? The importance of safe driving remains the same whether you are out driving on a highway or within the city. The rules of driving however vary greatly between the two types. The difference lies in the driving conditions on both roads. Along with this, all motor vehicle owners are required to submit proof of their financial responsibility. An individual’s motor vehicle’s inspection would only be allowed, if he or she proves that the motor vehicle is, indeed, owned by them. Only then will the owner of the vehicle receive the sticker of inspection, which proves that the vehicle has been inspected and is functioning well. Motor vehicles which are not inspected may have certain hidden problems, which might result in unforeseen accidents with dire consequences. One of the biggest differences can be found in the duration of the drive. 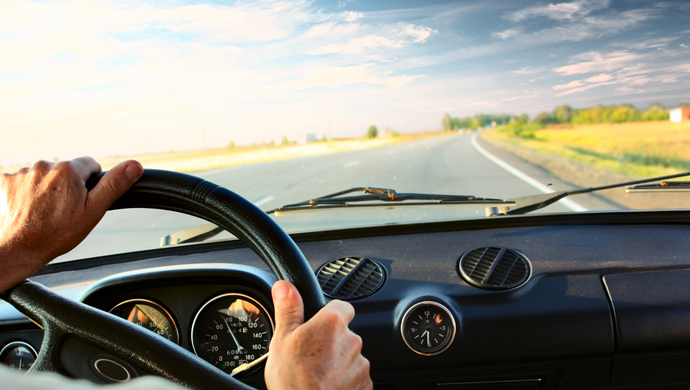 Highway driving is considerably more risky, due to the long routes and even longer hours. After a straight few hours of driving, there are more chances of the driver falling asleep behind the wheel, on a highway compared to the city road due to exhaustion. Falling asleep even for a few seconds, could prove to be highly dangerous on a highway due to the high speed of the car. Driving in city, on the other hand is less risky because the drives are shorter and there is a lot of hustle bustle on the road, which leaves no chance for the driver to fall asleep. There is a lot happening on the road due to which drivers are usually alert while driving. There are frequent signals, cops, other cars and twists and turns on the road as well. On the other hand the highway is devoid of twists and turns; it’s just a long stretch of road with very little effort required from the driver for keeping the car moving on track. Higher speeds are permitted on a highway, whereas, in the city there are various different speed limits that do not allow one to drive at a high speed for a long duration of time. Hence, car accidents in the city are not as dangerous as car accidents on the highway. On a highway, an impact between two vehicles moving at high speeds could prove to be fatal for both; there is a very little chance of surviving in such collisions. This is the reason, drivers are told to stay alert on the highway. Driving on the highway at night is very dangerous for a driver who is not used to it. Constant vigilance is required at night time due to low visibility on highways, mainly because of the lack of street lights on the road. Usually the only visible patch of road is the one right in front of the car under the glare of a car’s front lights. Thus it is crucial that drivers make sure that their taillights and head lights are in working condition before setting out on a highway. Drivers should always remember to keep the high beam in the car switched off until absolutely necessary as it could impair the vision of a driver in the oncoming traffic’s lane. As dangerous as driving on a highway is, city driving could be equally risky if a driver is distracted. Therefore it is of utmost importance to stay alert while behind the wheel of a car. A huge part of safe driving also involves obeying traffic laws, so stay alert, follow the traffic safety rules, and maintain calm at all times while driving for a safe and incident free drive.